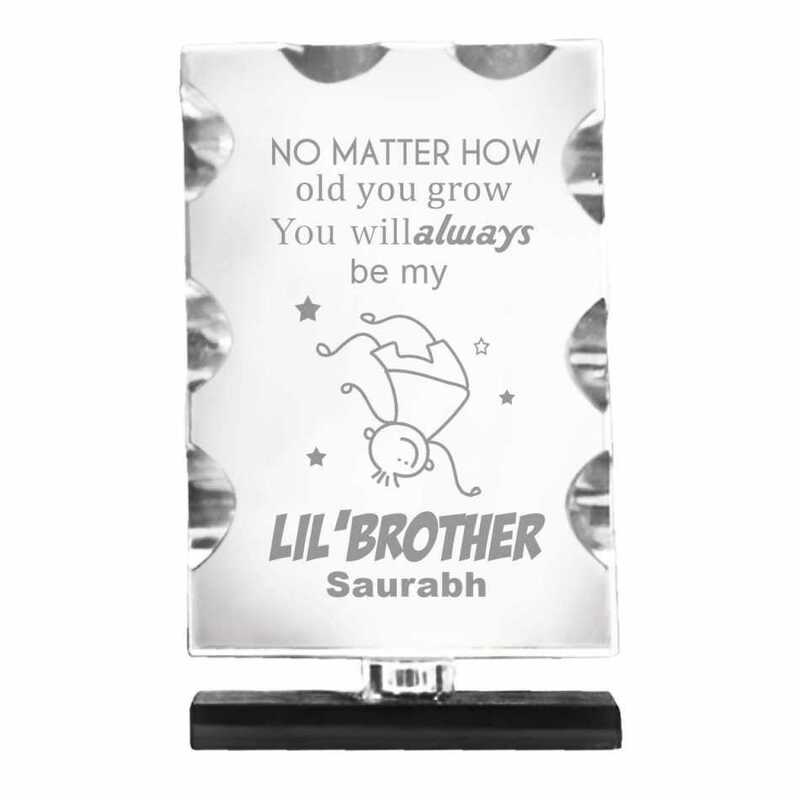 This artfully crafted crystal contains a beautifully engraved personalized message. It is a magnificent loving memento for display. This crystal shows a message that no matter how old your brother grow, he will be always your cute lil brother.